Having worked with the BBC Electric Proms in 2008 our music production team can offer industry respected experience and production quality. Our Production team have worked in the best studios in the UK and Australia including Peter Gabriel’s Real World, the world’s finest all-analog studio in Toerag of London, Angel Studios in Islington, The BBC and EMI Roundhouse Studio, and Resonator Studios in Melbourne. The first release on our own in-house label, Breakneck Records, recorded at Toerag Studio is due this year with Mr Black & Blues set to make his debut in the UK and Australia. 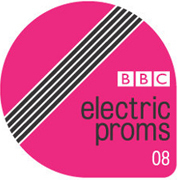 Selected as one of six participants, out of a field of over six thousand, to record and produce artists as part of the BBC Electric Proms in 2008.